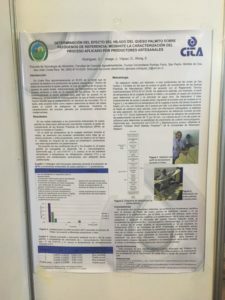 Validation of control measures and pathogens reduction steps for the safe production of traditional artisanal dairy products from the Mesoamerican region. A fundamental right of all people is to have access to a healthy and safe diet that allows adequate growth, development and health status. Food safety is considered a priority element in the production of food for human consumption that involves public health, the well-being of the population and the economy of the countries (FAO, 2009). Dairy products in general represent a high risk food from a microbiological perspective and have been linked to numerous outbreaks of food borne diseases. 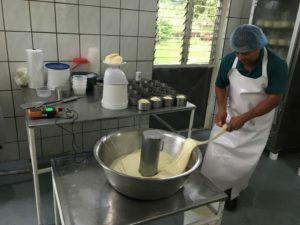 It should be noted that in Costa Rica, as in the rest of the Mesoamerican region, a high proportion of the most consumed dairy products are handcrafted by small producers who in most cases lack basic formulation and control controls process that guarantees the safety of their products (FAO, 2009). Given the previous scenario, the present investigation is proposed with the objective of carrying out evaluations, with a scientific basis, in three artisan dairy products of high consumption in the region, selected as a study model. It is hoped that this effort will eventually facilitate the planning of specific regulations to ensure the safety of the products studied. To evaluate the effectiveness, to guarantee the innocuousness, of the current practices of formulation, handling and processing of three handmade dairy products produced in the Mesoamerican Region. 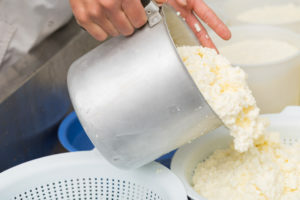 Identify and describe three artisan dairy products representative of the Mesoamerican region subject to alternative processes to pasteurization specifically salted, acidified and spun. To evaluate the effectiveness of the current formulation and processing conditions, to guarantee the safety of an artisan cheese, from the Mesoamerican region, subject to a dry salting process. Evaluate the effectiveness of the current formulation and processing conditions, to guarantee the safety of an artisan cheese from the Mesoamerican region, subject to a spinning process. 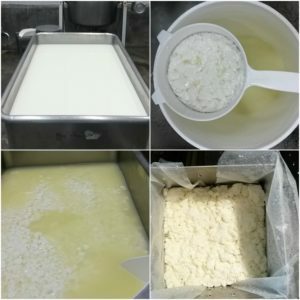 To evaluate the efficacy of the conditions of formulation and current processing, to guarantee the safety of an artisan cheese, from the Mesoamerican region, subject to an acidification process. Transfer to artisan producers and trainers of the region, the conditions of formulation and processing that allow to produce innocuously the three artisan dairy products studied. Main: Dr. Jessie Usaga Barrientos, National Center for Food Science and Technology of the University of Costa Rica (CITA-UCR). 1- Lic. 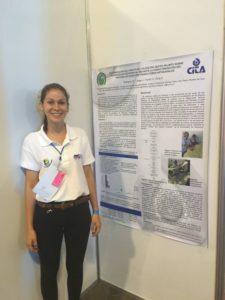 Diana Víquez Barrantes, National Center for Food Science and Technology of the University of Costa Rica (CITA-UCR). 2- Dr. Eric Wong González, National Center for Food Science and Technology of the University of Costa Rica (CITA-UCR). 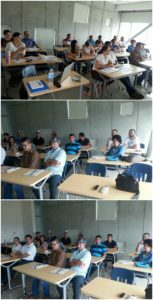 Thesis students / assistants: 3 students of the Bachelor’s Degree in Food Engineering from the University of Costa Rica who, through this research, would be developing their respective Graduation Thesis. The project will last for 3 years, starting in August 2016 and ending in August 2019. 1-The pasteurization of milk: importance in the microbial quality of dairy products. 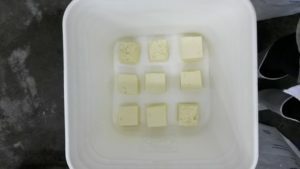 2- Requirements to the microbiology of milk for its use as raw material in the cheese factory. 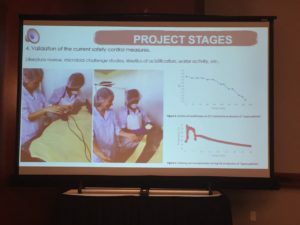 On January 23, 2017, the presentation of the project was made at the Annual Assembly of ILSI in San Diego, California, for this occasion Dr. Jessie Usaga made a presentation where she explains in detail the progress of the project, if she wishes to observe the Presentation can do it here. 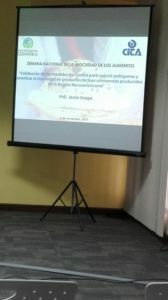 During the months of February to May more than 15 small businesses have visited all of rural areas such as example Turrialba, Los Chiles, Golfito, San Carlos, in order to evaluate their methods of Good Manufacturing Practices and collect information about the formulation and processing conditions of artisan products, since this information is not available in the literature. Each producer involved in the project will receive a new visit where the report will be analyzed and recommendations will be given to solve problems detected. To know the full report of the semester you can do it here. 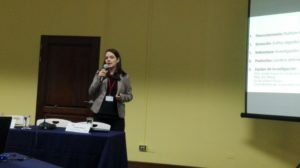 On October 19, 2017, the National Dairy Congress was held, where Professor Diana Víquez had the opportunity to present an advance on the project’s results. The congress was attended by a significant number of representatives of industry, government, educational institutions and others. 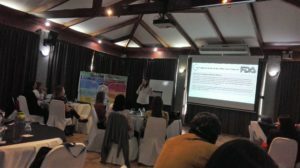 From November 6 to 10, 2017, the National Week of Food Safety organized by the Ministry of Economy, Industry and Commerce (MEIC) was held for the first time in Costa Rica in order to promote good hygiene practices. the food. Professor Jessie Usaga had the opportunity to present a preview of the project at the opening of the activity. 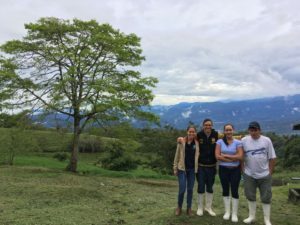 As part of the project, once the dairy products study stage is finished, the teachers and students in charge of this process carry out training sessions with the producers in order to help them improve their production processes hand in hand with the safety. 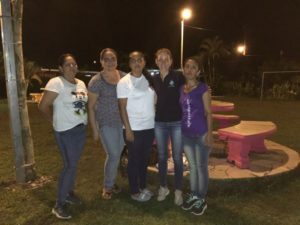 On December 11 and 12, 2017, undergraduate student in Food Engineering, Gloriana Rodríguez, who was working with palmito cheese (spiced cheese), visited the Golfito area (Southern Zone of Costa Rica) to finalize the trainings producers of this type of cheese. 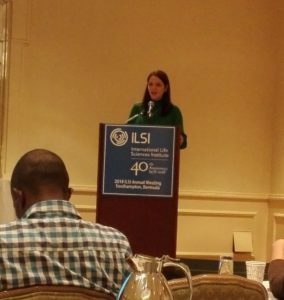 On January 23, 2018 at the Annual Meeting of ILSI in Southampton, Bermuda held the scientific session Science Serving Society where Professor Jessie Usaga had the opportunity to present some of the results obtained from the project. To learn more about this presentation, you can do it here. The video of the presentation can see it here. 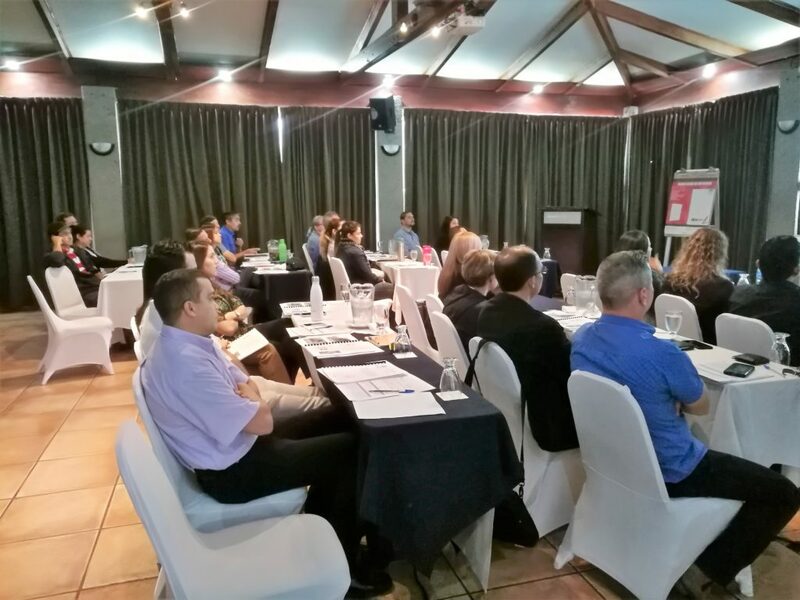 On February 6, at the scientific session of the Ordinary General Assembly of ILSI Mesoamerica, Professor Jessie Usaga successfully presented the progress of the project to all the members and special guests present. All attendees were very surprised with the results obtained and are waiting for new developments. 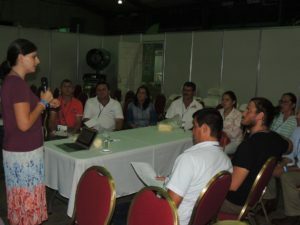 On March 28, 2019, project researchers, professors Jessie Usaga, Diana Víquez and Eric Wong conducted the first Artisan Cheese Safety Workshop. 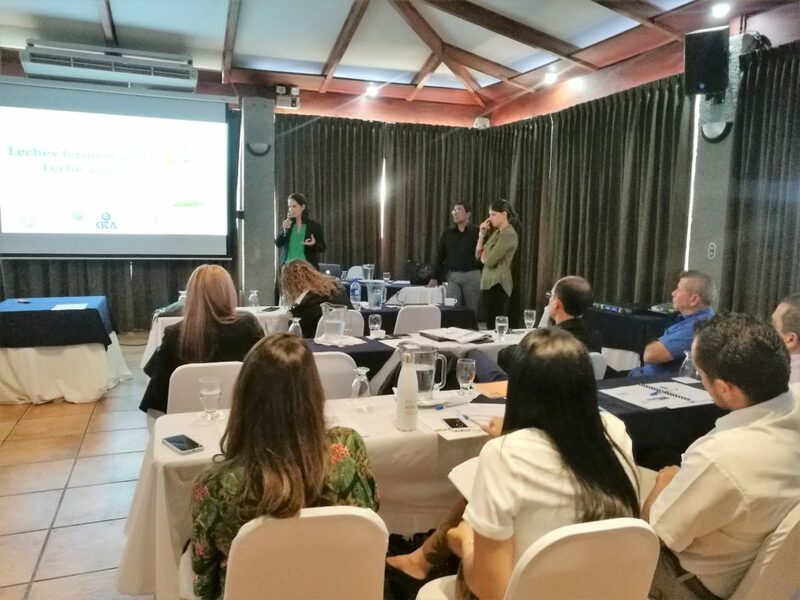 The objective of the workshop was to know the control measures necessary to guarantee the safety of three artisanal dairy products from the Mesoamerican region (dry salted cheeses, spiced cheeses and fermented milks).